Comparative Advantage is the most fundamental, yet revolutionary concept in Economics. For centuries, however, very few people have grasped it, and the vast majority have taken measures against it - as seen by every protectionist policy, every tariff or politician calling for them. Not doing a better job at explaining this to our fellow citizens is the biggest failure by those of us with a passion for econ. In this, we're all guilty. Absolute advantage: if I'm better at doing something than you are, it makes more sense for both of us to let me do it. Opportunity cost: by doing something, I cannot simultaneously be doing something else; by spending money on one thing, I cannot spend the same money on something else. Since it's the Olympics, let's use Usain Bolt as an example; he's better than me both at running 100m races and delivering newspapers. He has the absolute advantage in both courses of action, while I'm pretty lousy at both. However, Bolt gives up relatively more by delivering newspapers rather than running, than I do. So, it makes sense for him to run and me deliver newspapers. It's the economic extension of the simple notion that, if we each specialize in what we're best at, taking our opportunities of doing something else into account, our common gains are larger than if we tried to produce or achieve the same things on our own. It is the living embodiment of emergent properties. If the concept is so easy, and we're so smart, How Come People Still Don't Get It? One common explanation, Bryan Caplan-style, is that the benefits are widely spread among a large population, whereas the occasional losses are highly visible and highly concentrated; the unemployed tailors are easy to spot, the drastically reduced price of clothes less so. Another one is that people are simply too stupid. They can't keep two thoughts in their feeble little heads at once; they don't seem to grasp that opportunity costs matter, that what otherwise would have been is the relevant comparison - not whether some imagined act is righteous. This applies to basically everything: stupid government decisions ignoring other factors; labour unions indignantly crying out that workers deserve more pay, with no consideration for their employment status; the obsession with inefficient renewable energy; the opposition to third-world sweatshops. I hate it when people say they have to choose between donating and something else - you don't! You can have both - and besides, children are starving and we really need the money. It's like people can only comprehend one thing at a time; children are starving - so we need money from rich Westerners. Renewable energy is morally right - so we must build them now. Workers deserve more pay, so let's make low pay illegal. No additional thinking needed, no scarcity-constraints, no opportunity costs, no considering what otherwise would have been - or what your action is preventing. I blame the Social Justice Warriors and the anti-intellectual rhetoric of the modern left for keeping the present generation in ignorance: they have convinced us that the only thing that matter is feelings, that reasoning is mansplaining, objection racism and logic oppressive. Comparative Advantage is so easy to grasp, the implications of which an unfortunately large group of people is unable to understand. The blame is shared among all of us with a passion for econ. Hi, a few questions - what reason do you have for blaming the modern left for this gap? Presumably to stop the general public from understanding such a simple concept they must be intellectually dominant in the media, but I think most people would describe mainstream media as having a right wing bias (look at what newspapers are the most popular in USA/UK/Australia). Or have they also hijacked all the world's educational institutions? 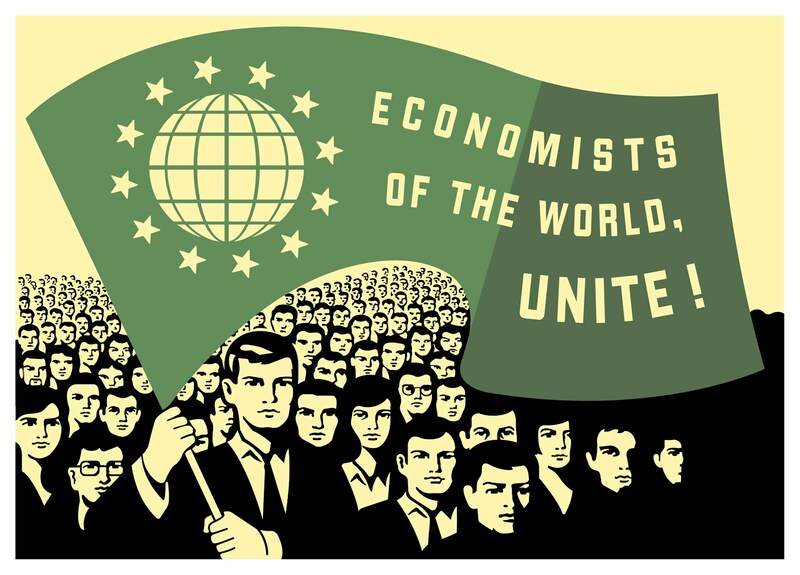 Economics is not taught as a standard part of most Western primary or secondary education curriculums - but how do you pin this on the left, when it can be seen to be the case in plenty of countries with both left and right wing governments? Your statements are contradictory to the point of hypocrisy - in one paragraph you blame the left, but in the next state the blame is shared amongst all with a passion for economics. So which is it? Your tone is so condescending of people without a formal education in economics - would you have had the same knowledge of scarcity constraints and opportunity costs if you had entered a completely different field of academia for instance? What are you doing to address this deficit in public understanding, apart from publishing a blog with a righteously dismissive and patronising tone? Hi there, thanks for stopping by - and your lovely words! Do we live on the same planet? The left has DEFINITELY high-jacked every educational institution around, as well as almost every media - possibly fox excluded. Ok, this is how it works; the left are to blame for regressing our intellectual beliefs about trade over the last 150 years, pouring out reasons for protectionism. The right learned the political game, and joined the circus a while back. 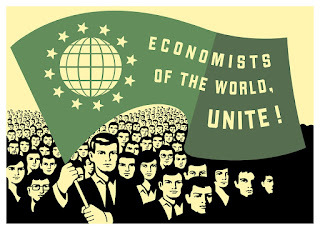 Economists across the board have failed in being the counter-weight we're supposed to be. Not contradictory, love. QED. As for me: I'm doing everything I can to educate people on simple things. For instance, by shoving blog posts in their face.